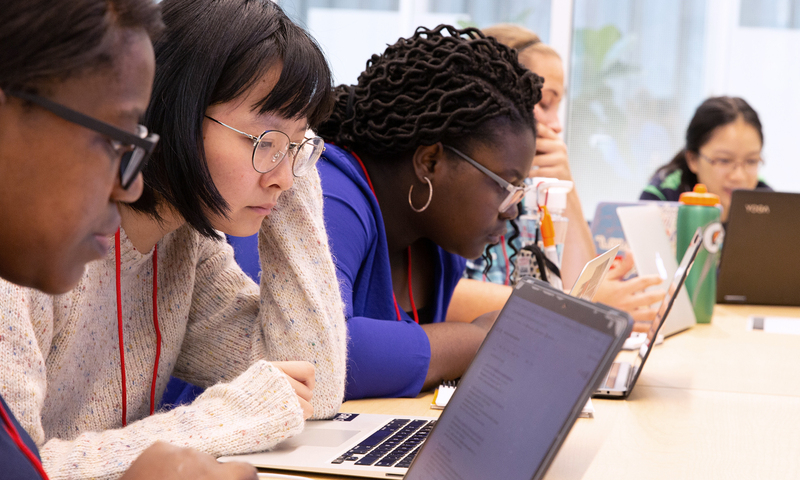 More than 90 women from 47 schools attended the HelloResearch workshop, a three-day event held Oct. 26-28 at the School of Informatics, Computing, and Engineering that brought together undergraduate computer science majors to work on exploratory problems in teams led by researchers from academia and industry. HelloResearch was made possible through a grant from Google’s Explore Computer Science Research program and major support from Oracle Academy. Speakers for the workshop included SICE Associate Dean for Research Kay Connelly, Maggie Oates, a Ph.D. student in computer science from Carnegie Mellon, and Haley MacLeod, a SICE graduate and UX researcher for Facebook. The keynote speaker for the event was Timni Gebru, a research scientist at Google AI. Some of the research projects offered for attendees included the design and implementation of domain-specific programming languages, augmented reality visualizations of IoT data, goal-based task planning and adaption with aerial unmanned vehicles, activity recognition through deep learning through sound and video, wireless device privacy, creating custom technology to improve one’s quality of life, and a half-dozen other subjects. Attendees of the event also had the opportunity to learn about life in graduate school from the perspective of current students, present a poster, and work side-by-side with faculty and researchers in computer science and informatics. Abigail Alwine, a junior majoring in computer science at SICE, didn’t have to travel for HelloResearch, but she was excited by how far the event could take her. Students were given the opportunity to present at Hello Research. Susan Monsey, a computer science major at SICE, won the poster competition with “Monitoring Heat Stress through Environmental Sensing,” which studied how urban vegetation and different types of land cover affect Urban Heat Islands, and also how well low-cost, wearable sensors measure our heat exposure. HelloResearch was modeled after the Opportunities for Undergraduate Research in Computer Science program and targeted underrepresented students and minorities from institutions small or large, including students with varying levels of physical ability. Sign language interpreters and travel scholarships were provided through the generosity of Access Computing. 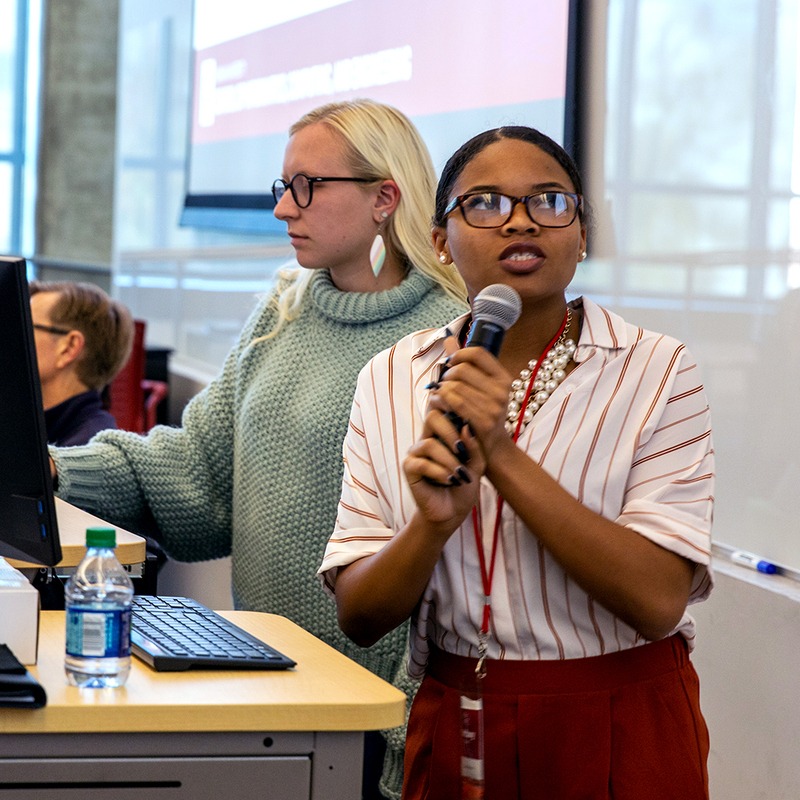 Beckman Coulter, Access Computing, SICE, and the IU Office of the Vice President for Diversity, Equity, and Multicultural Affairs also provides support for the workshop. 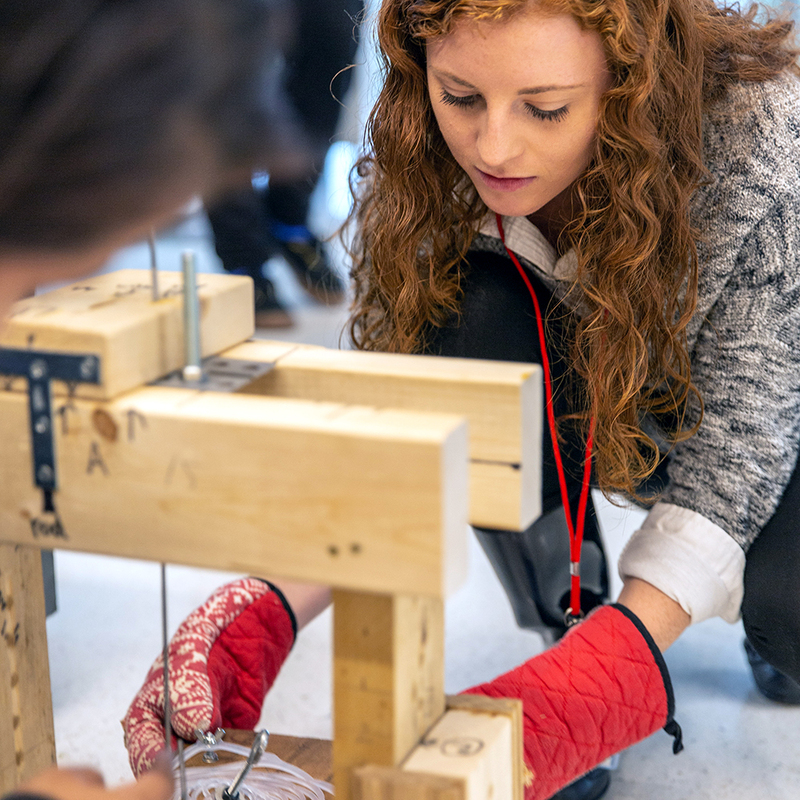 Students earned hands-on experience with projects during Hello Research. The research workshop also will serve as an element of research. The career paths of the students will be studied to judge the impact of such events on the future development of attendees. Although the initial plan was to make HelloResearch a biennial event, the overwhelming positive response has some of the leaders thinking about making the workshop an annual proposition.